Quilt batting history shows how labor intensive quilts were to make. Cotton bolls were picked by hand, dried by the fire, remaining seeds and debris was removed by hand and then carded into small batts. This process was often a family affair or done using slave labor. The type of batting used to make antique quilts has helped historians to establish the age of a quilt. 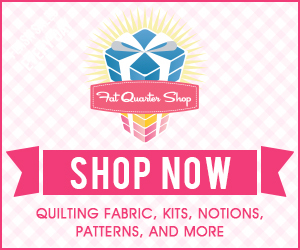 Early quilts were usually made with hand made small batts from carded cotton or wool. The batts were placed on the backing fabric and then the top was very carefully placed on top. These three layers needed to be closely hand quilted together. With this time intensive process, often when a quilt wore out it was used as batting for another quilt. Wool blankets were also used as batting. 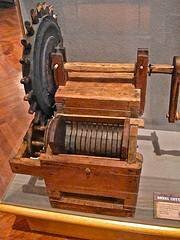 The introduction of the cotton gin (short for cotton engine) a machine used to separate cotton from its seeds, didn't do as good a job as initially was done by hand. As the gin machine improved so to did its ability to remove the debris from the cotton. It is the improvement over time of the gin that has been one of the factors that helped historians to date very old quilts. Today batting is manufactured which has brought many advantages to the quilter: reduced cost per yard, consistency of thickness, eveness of color, removal of foreign materials in the batting and the ability to combine different fibres together to make another type of batting.